BREAKING NEWS: Wellness has announced a voluntary recall of lots of Wellness 95% Beef Topper for Dogs due to possible elevated levels of beef thyroid hormone. Elevated levels may affect a dog’s metabolism and can be associated with increased thirst, increased urinary output, restless behavior and weight loss. This product is being voluntarily recalled as a precautionary measure due to elevated levels of beef thyroid hormone. Wellness’ Consumer Affairs department maintains that it has received no reports of any health problems as a result of feeding this recipe, and that no other Wellness products are affected. 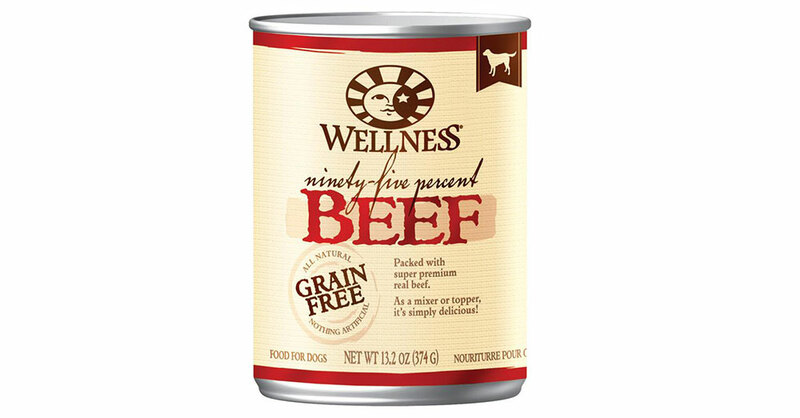 According to Wellness CEO Camelle Kent, Wellness’ 95% Beef Topper is intended for intermittent or supplemental feeding only, and the likelihood of a dog being affected is remote. Multiple studies indicate that, for the vast majority of pets, symptoms are reversible as soon as the pet stops eating product with elevated thyroid hormone. If your dog shows signs of discomfort or illness please contact your veterinarian immediately. If you have this product in your possession, discontinue use immediately, and return the food for a full refund. You can also email Wellpet at wecare@wellpet.com, call 1-877-227-9587, or contact your nearest FDA consumer complaint coordinator with any questions. This Wellness recall is just one of over 38 recalls that have occurred in the past year. Your pets deserve better.